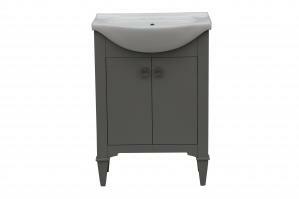 A smart modern touch will be brought to the bathroom with this single sink vanity. 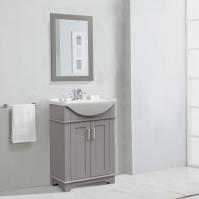 The two foot width makes it the perfect selection for small or odd shaped bathrooms. 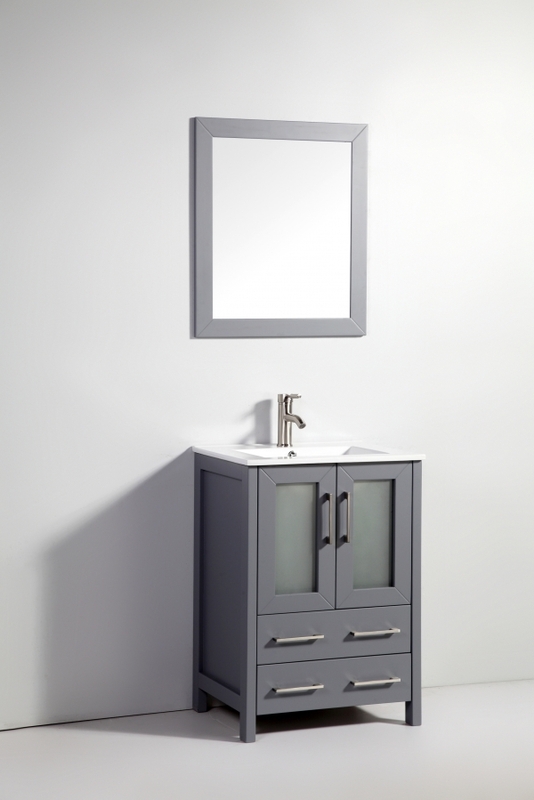 The dark gray finish of the wood enhances the modern styling, as do the brushed nickel hardware pulls. A double door cabinet and two drawers serve very well for storage purposes. The frosted panel inserts on the door fronts add a special touch to the piece. A white ceramic integrated sink completes the modern look. 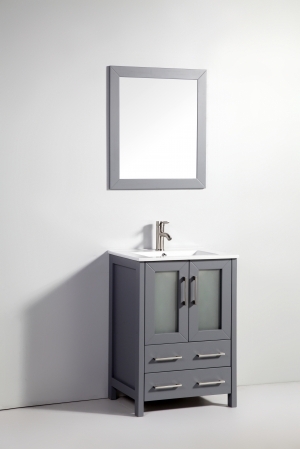 A matching mirror is included to add personal viewing space.